After an hour of fruitless searching for stalked jellyfish in this rock pool at Readymoney, I decide to give up and am putting my camera down when I notice a tiny crimson blob stuck to my thumb. My camera battery is all but dead and a squally wind is blowing, spitting rain into my face and even up the hem my coat, but I turn back and dip my hand in the pool. Delicate arms emerge from the spot of jelly, eight of them, each tipped with a starburst of tentacles. The slender column stretches out into a bell shape, flecked with iridescent spots of turquoise that contain its stinging cells. Lucernariopsis campanulata – somehow the stalked jellyfish has found me. At this time of year, the seaweed dies back. The beach is piled with kelp and the pools are a swirl of autumnal colours: orange, brown, yellow and red as the fronds float up and decay. 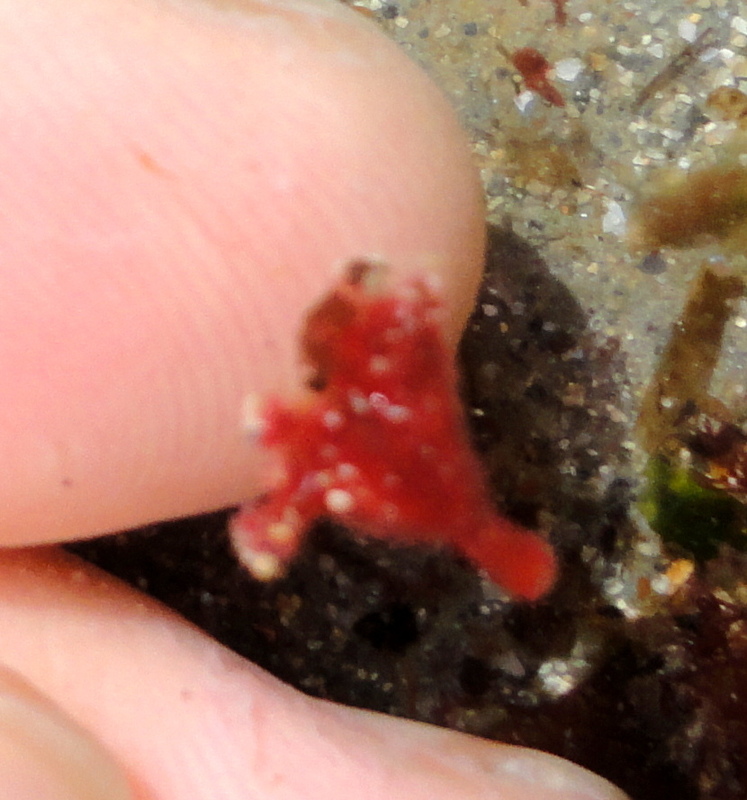 This tiny stalked jelly, a cousin of the free-floating jellyfish, barely a centimetre tall, must have chosen my thumb as its new home as I was taking photos of a shanny. Despite the die-back, perhaps because of all the extra nutrients in the water, the pools are packed with life today. 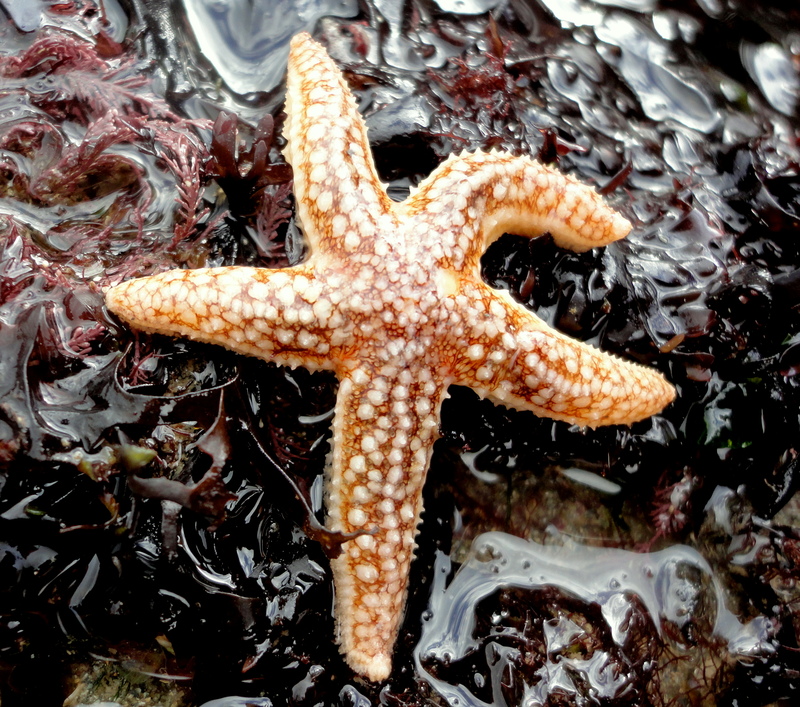 I have found my first common starfish of the year, a small but healthy specimen. Velvet swimming crabs and shore crabs are everywhere and a small edible crab nestles under the sediment to hide. It’s half-term and a couple of hardy families are out in their wellies. 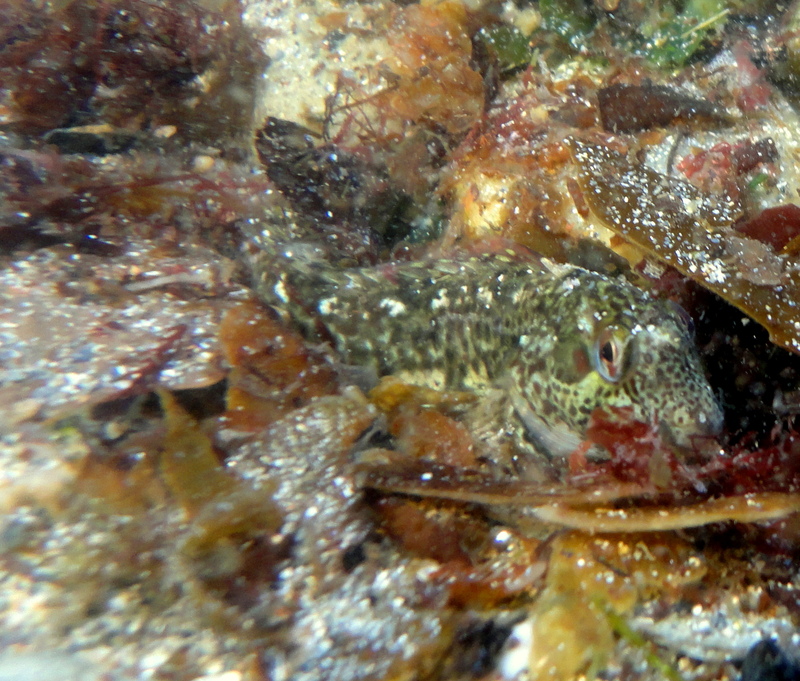 The children come over to see the plump cushion stars, tiny gobies and the broad-clawed porcelain crabs that are clinging underneath the rocks. 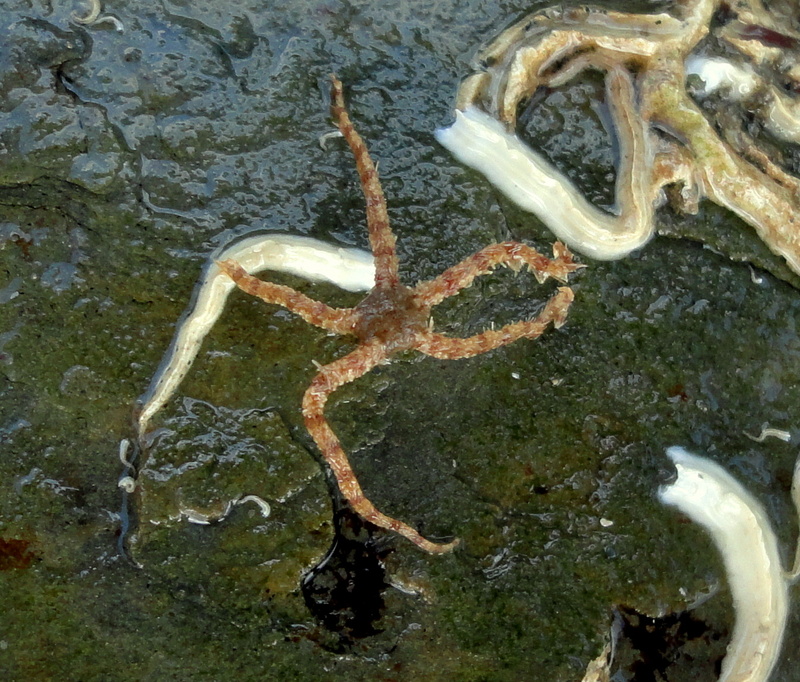 A brittle star walks across a girl’s hand and she peers closely at its hairy legs feel their way. As the rain comes down the other people melt away, leaving me and my son peering at our stalked jelly. The stalked jellyfish chose me; it seems like some sort of a sign from the marine biology gods. A sign of what, I couldn’t say. 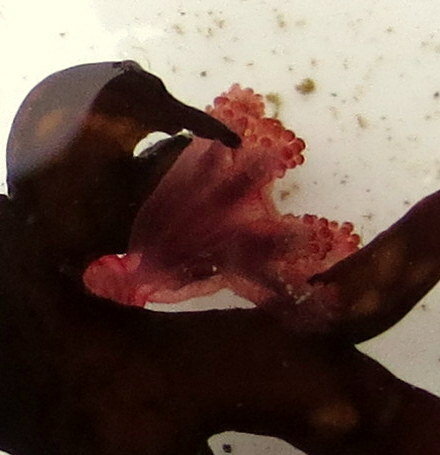 I coax my blob-friend onto some seaweed. I know it will go the same way as the dying algae, but spring will return before we know it. Lovely writing – what a magical description! I’m glad the little jellyfish found you.